Mary-Elizabeth Simpson has been a trainer since 1987 working under various instructors as an apprentice. The most noticeable and influential instructor she apprenticed under was Loren Manzel who had classes at the YMCA for several years. 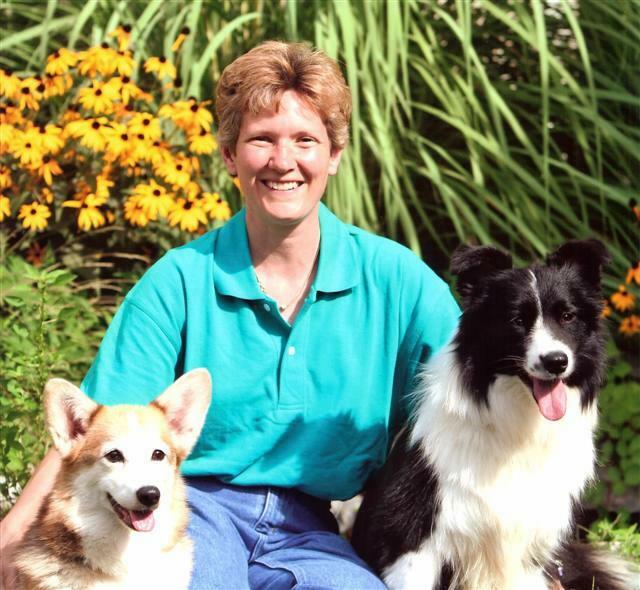 In 1990 she started her own private training business called Joyful Canine Training. Her philosphy in training is "Don't be mad, Train 'Em and be GLAD!" Her teachings include the use of positive motivation using toys, food and tons of praise. 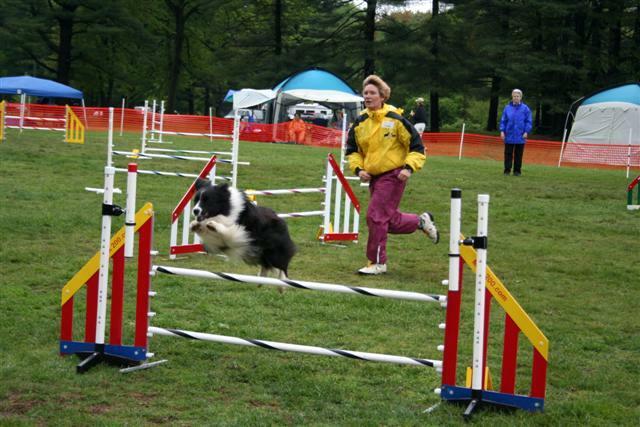 Mary-Elizabeth has worked with various breeds and her students have all competed quite successfully in Obedience, Agility, Breed and Rally-O competitions. 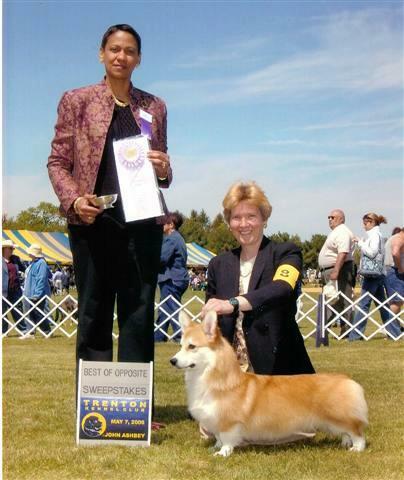 She has also worked with various breeds who have had behavorial problems and has successfully rehabilitated and placed rescue Pembroke Welsh Corgis and other breeds into new homes as well as helped people with their problem dogs. 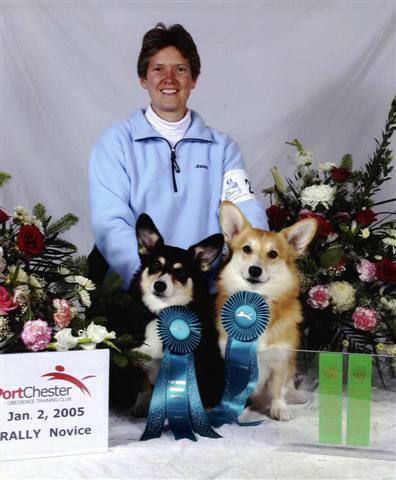 Her current dogs, several Pembroke Welsh Corgis and one Border Collie, have titled in Obedience, Rally-O, Breed and Agility. She attends many seminars and classes to further her education and learn of new ideas that could help her and the students which she trains. 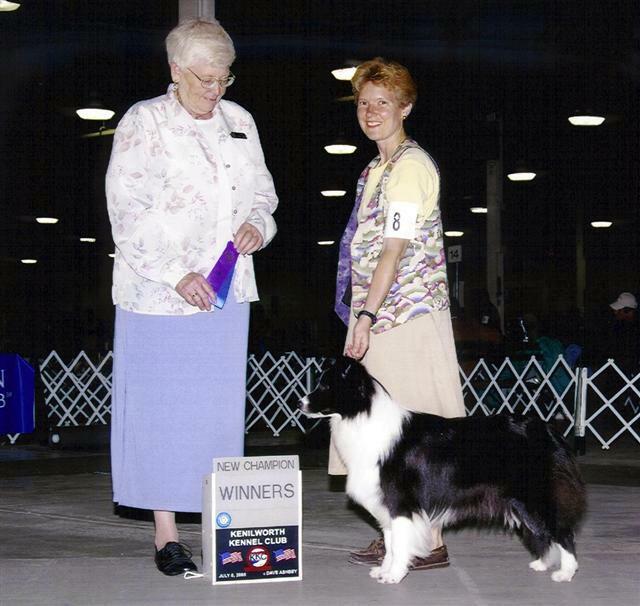 In addition to teaching she also has handled various AKC breeds to their Championship titles. She has gone on to take Best of Breeds, groups as well as gone to Westminster with her clients dogs. Mary-Elizabeth joined WPSAT sometime in 1990 and has taught all the basic (beginners through Advanced) classes as well as Rally-O and Breed handling. Many of her students today have returned with puppies to renew their training with their new charges. Quite a few have also taken up competitive Rally-O, Breed Handling and or Obedience to go on to compete in these venues with quite a lot of success! Several of her students have placed in top competition levels taking Best puppy, Best of Breed, Groups in Breed.....to Novice-Advanced Rally-O high placements as well as High In Trial in Obedience and Masters Agility Championship in Agility. Mary-Elizabeth caters to the students various handling styles and finds what methods work best for them in order to achieve their highest level of performance. In addition to teaching Mary-Elizabeth is a member of various clubs...some of which she has served as trail chairman, secretary, vice-president as well as volunteered on several committees. Membership of clubs include....Pembroke Welsh Corgi Club of America, Mayflower Pembroke Welsh Corgi Club, Pembroke Welsh Corgi Club of Garden State, Mid-Atlantic Border Collie Club (vice-president), Association Of Pet Dog Traininers, International Association of Canine Professionals, and Portchester Obedience Training Club. She is also a member of Therapy Dogs International, Inc. and has in the past done Pet Therapy visitations at local nursing homes with the Golden outreach Prigram with her late Pembroke Welsh Corgi, Nikki. Eventually she plans to do therapy work with her certified Border Collie, Feisty and hopefully will soon get one of her Pems certified.